Are you looking for custom matchbooks to give out to your customers as promotional material? Matches are a useful everyday item, but with a little creativity, they can turn into a powerful marketing tool. Giving out cool, useful, and creative items like custom-made matchbooks helps you stand out as a brand. Your customers will be happy to receive something that they can use and you’ll get some free advertising in return. 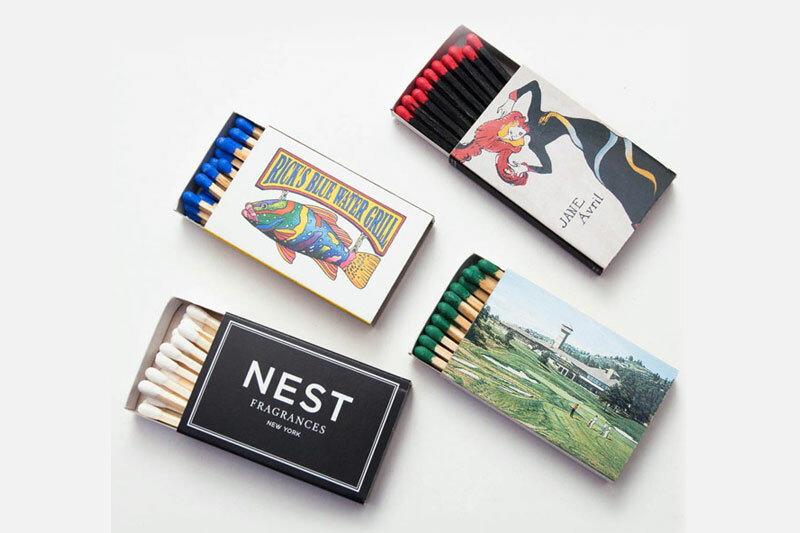 Keep reading to see how you can use custom matchboxes to wow your customers. Anyone can buy a regular matchbook from the store, but if you want to make yours special, invest in custom designs, sizes, and messages. Your branding should be visible on all promo items you give out and matchboxes are no exception. Go for unique matchbooks that’ll catch the client’s attention right away, so much so that they’ll love using them every day. Matchbooks are one of those items that’ll never go out of style because they’re so versatile. Your customers can use them to light up a cigarette, fire up the grill, light a candle or the fireplace. They’re also easy to carry, practical, and lightweight. Matchbook collecting is a real hobby and is called phillumeny. If some of your clients are collectors, you’ll make their day with another unique piece for their collection. You can even inspire people to start collecting matchboxes and matchbooks, which is a great way to market your brand for years to come. Custom matchbooks can be memorable if you have a professional design that grabs people’s attention. Many businesses may opt for a boring design that focuses on the marketing aspect. Your goal should be to wow the customer as soon as they have the matchbox in their hands. For example, instead of your logo taking up the most space, you can add some funny sayings, drawings or riddles. You can choose different colored tips and stems to match the colors of your brand. This is one sure way to you make your promotional materials become memorable and stand out. Unlike traditional marketing tactics and TV commercials, matchbooks are a non-invasive way of promoting your brand. They find their way into people’s homes and pockets without being too cumbersome. They’re a useful little item with your name on it. Next time your customers need a match, your matchboxes will be the first ones that they reach out for. Get Your Custom Promo Matches Today! If you want a new, unique way to appeal to your customers and leave a lasting impression, these custom matchbooks tips will help you wow them. Ready to order your next set of promotional matchboxes? Contact us today for more information and to check out our great selection of products.